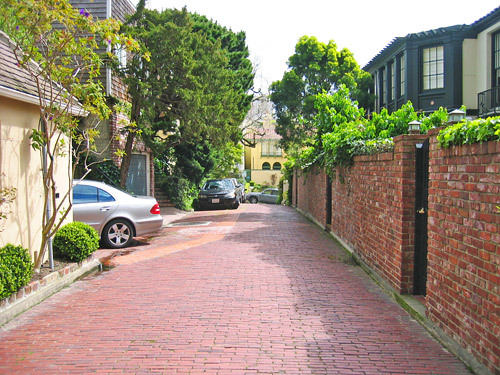 Alleys are small-scale streets that typically only carry low numbers of vehicles accessing adjacent properties. Their character varies across the city, from residential to service alleys. Alleys should be designed to a pedestrian-scale speed and level of detail wherever possible, to calm traffic and emphasize pedestrian use. 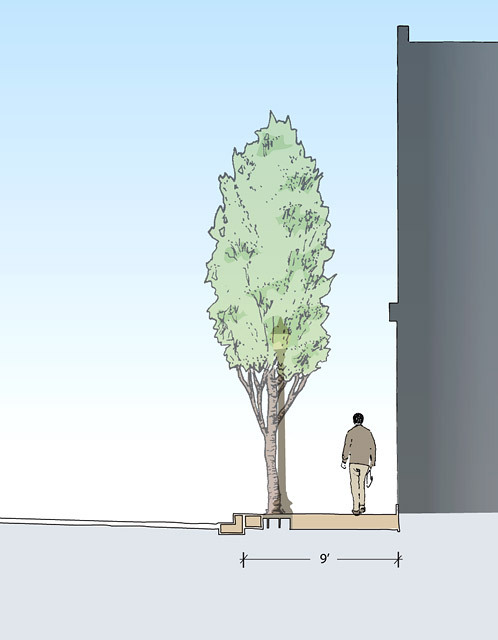 Alleys may also include seating, landscaping, and pedestrian lighting to create usable public spaces. Alleys should be designed as shared public ways wherever possible. 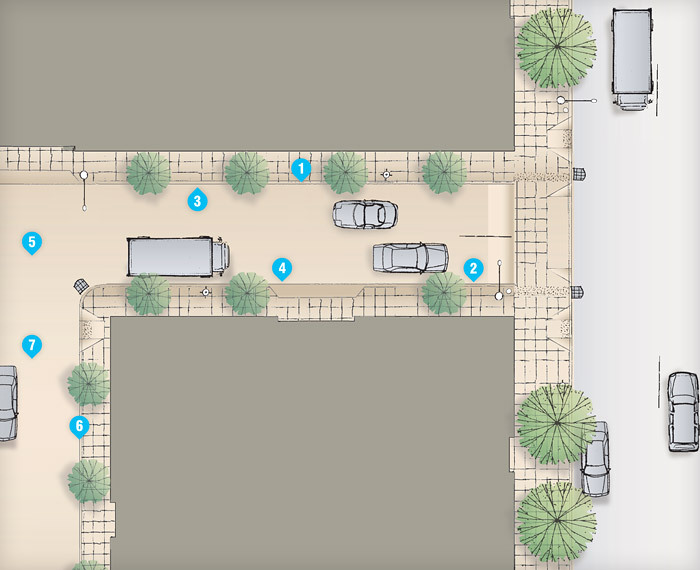 Where alleys are not designed as shared public ways, they should incorporate raised crossings across the alley entrance and special paving across the entire right-of-way wherever possible. Tree grates and site furnishings should be considered in high pedestrian volume areas, or as capital and maintenance budgets allow.